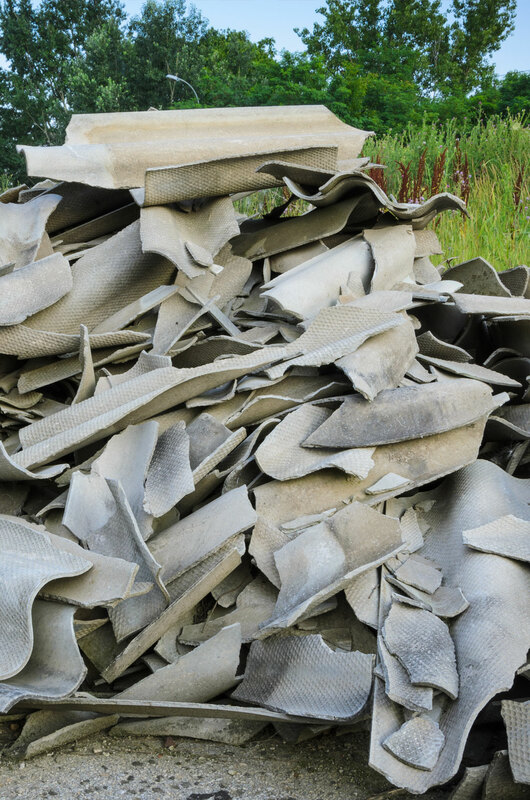 Asbestos waste is any waste, which contains more than 0.1% w/w asbestos. Asbestos was used extensively as a building material in Great Britain from the 1950s through to the mid 1980s. Any building built before 2000 can contain asbestos. Asbestos materials in good condition are safe unless asbestos fibres become airborne, which happens when materials are damaged. We have specialist containers and vehicles for reliable asbestos collection and disposal across East Anglia. Our professional, ADR qualified drivers will collect your asbestos and provide full documentation for your records. At Gold Star we are licensed to accept asbestos on our Environment Agency licensed site. For further information on delivering Asbestos to us please contact us.